There are 5 pillars. What are they? Nutrition, exercise, stress management, quality sleep and most importantly a sound nervous system without any interference. In order for you to be healthy, all 5 pistons need to be firing at 100%. Think of it as spokes on a wheel. If one of the spokes is bent or broken, how well is you bike going to ride? But why is the nervous system the most important pillar and what is it anyway? Let me explain. Your brain is the master controller of everything that happens in your body. It communicates via your spinal cord and nerves. Did you know that you have approximately 45 miles worth of nerves traveling through your body and that those nerves conduct over 3 million messages every second to all of your organs, tissues and cells? Yeah, it’s pretty powerful. What protects the brain is the skull and the cord is protected by the vertebral column/spine. 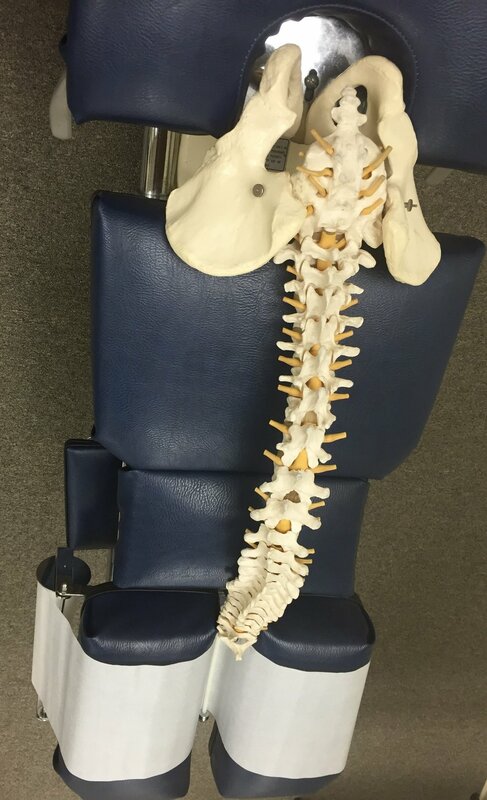 The spine is made up of 24 moveable vertebra that when misaligned due to stress, muscle tension or injuries can cause compression of the cord and nerves thereby altering the messages from the brain. At first you may not feel any pain because your body will try to adapt and keep homeostasis. When it no longer can keep homeostasis then symptoms appear. Symptoms and pain are the last thing to show up, however, by the time symptoms show up the problem may be pretty far advanced and more difficult to correct. So how do you know if you have nervous system interference? Well for many it’s pain. But why not be proactive instead of reactive? If you have stress, have had minor or major injuries or have a pulse, you may want to have a professional and licensed chiropractic physician evaluate you and your lifestyle. We don’t appreciate this control system until we hear of someone who has been paralyzed. Think about it, if you were to be paralyzed, would organic apples, a fancy gym, a visit from the pope or rabbi bring back your function? That’s why it is the most important pillar of health! Do you want to look and feel your best and function at optimum levels? Do you want to age gracefully without being a burden on your kids, grandkids and spouse? Do you want to be in a wheel chair or in diapers simply because you weren’t proactive in your overall health when you had the opportunity? Are you wondering why this is important in terms of building your business, finances, relationships and manifesting your epic life? If you are in pain or simply not functioning at your very best, how will you perform in your business? If you don’t perform well or able to be a leader in your business, will it affect your finances? If your finances suffer, how will it impact your relationships? Financial stress is a leading cause in divorce. So if you are sick, broke and dumped by the love of your life…how do you manifest your epic life? Got it?